It seemed likely to me that this was a dubbed copy of the 1966 BBC broadcast “Lewis Carroll Remembered,” which features an interview with the centenarian Hatch. Ever since the 1930s, and with increased necessity during the Blitz, the Poetry Room had a history of accepting copies of BBC recordings for preservation purposes. This recording, or so it seemed, would be no exception. The first sign that my hunch was wrong came in the form of the recording’s in medias res opening and the evident handing back-and-forth of the microphone (the jostling sounds are a far cry from the techno-suavity one experiences in recordings made at Broadcasting House, London). There was also the unavoidable fact of the American accent of the show’s hostess, a British-inflected haute American diction that was pervasive in mid-century broadcasts. And so began my journey down the (research) rabbit hole. Part of any audio archivist’s job is to become familiar with voices, a sort of sonic sommelier, and my intuition told me that I had heard this voice before—in an interview conducted with Marianne Moore. 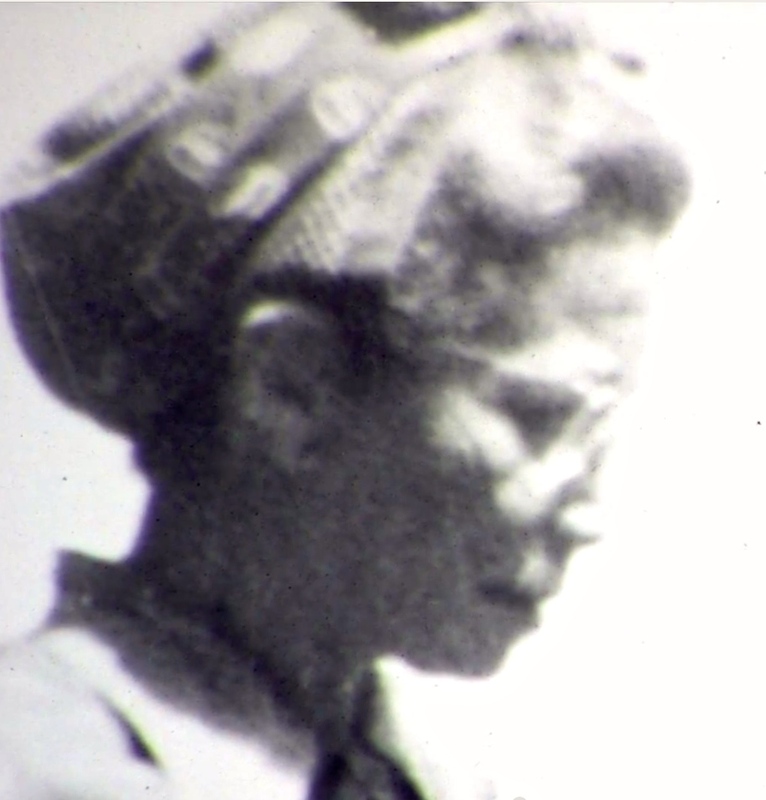 I also noted that the interviewer gives one biographical element away, letting slip that she has written “a life of Lewis Carroll.” I triangulated the Moore recording with a little fact-checking on Carroll biographers and arrived at a name: Florence Becker Lennon (1895-1984). Not much is known about Lennon’s radio program, “The Enjoyment of Poetry,” which derived its name from political agitator Max Eastman’s 1913 publication and was originally broadcast on the progressive station WEVD–New York (its call letters an acronymic memorial to Eugene V. Debs). It is however clear that Lennon’s inquisitive range included interviews with such guests as Langston Hughes, Stanley Kunitz, William Stanley Brathwaite, Jean Garrigue and Margaret Mead. Mid-century poetry radio shows, while not as numerous as they had been during their 1930s heyday, were still thriving in the Postwar period and included such ambitious and idiosyncratic programs as Anthology (produced in conjunction with the YMHA); Poetry of Our Time (hosted by Katharine Anne Porter); and Pacifica Radio’s KPFA poetry program, which featured readings by Allen Ginsberg and Paul Blackburn. These radio programs also had their counterparts in television, with such programs as I. 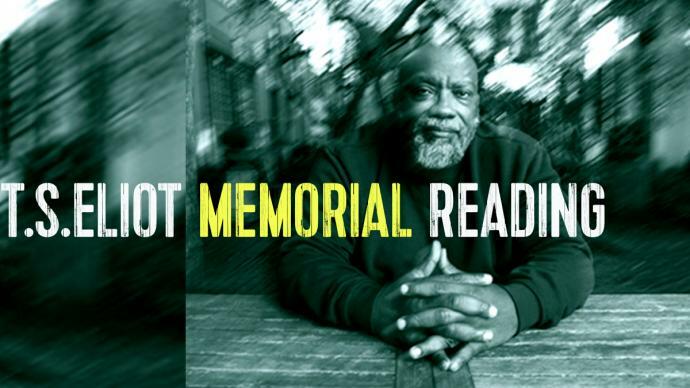 A. Richards’ MOOC-like Sense of Poetry on WGBH (Channel 2) and, later, Richard O. Moore’s inimitable WNET documentary series USA: Poetry. One could say that Lennon’s career as an amateur interviewer began in the 1930s when she undertook to document the memories of the extant members of the less-than-cooperative Liddell and Dodgson families. Lennon was born in the same decade that the word “freelance” was coined and all of her undertakings bespeak a generation that was often able to forge its way without the conferral of degrees or the disciplinary narrowness of officialdom. In her lifetime she managed to be a freelance biographer, radio-show hostess, environmentalist and educator—Lewis Carroll himself is a testament to this fluid interdisciplinarity, being at once a mathematician, photographer and children’s-book author. While her biography echoed the trend of recent biographies like Alice in Wonderland Psycho-analyzed (1933) in emphasizing and in some cases pathologizing Dodgson’s Peter-Pan-like qualities, Lennon’s biography Lewis Carroll (Cassell & Co., 1947) did distinguish itself by being one of the first studies to focus on his gifts as a poet. It’s unclear whether the Hatch interview (transcribed below) ever aired: the conversation was clearly difficult to elicit, despite all of Lennon’s solicitous skills. Hatch’s insights are colorful but superficial at best. The more interesting commentary emerges from Helmut Gernsheim (1913-1995), whose presence in the conversation is not mentioned in HOLLIS. One of the foremost historians of early photography, Gernsheim memorably happened upon Dodgson’s long-lost stash of photographs in a junkshop in 1947, in much the same way that John Maloof discovered Vivian Maier’s negatives. His seminal study of Dodgson’s photographs was published in 1969—which could be a clue to dating this interview. Ethel Hatch: ….I shan’t be entirely discouraged and I have made art my life’s work. 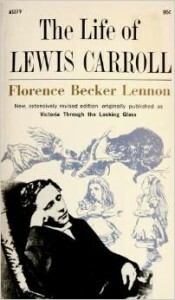 Florence Becker Lennon: Well, it interests me to have seen this letter from Mr. Dodgson reporting on Mr. or Professor or Sir Hubert Herkomer’s response to your work, because the thing that started me on writing my own life of Lewis Carroll was seeing the Herkomer portrait in Christ Church, which was painted after his death, from photographs. Sir Hubert had never seen Mr. Dodgson (they tell me). And, to me, this was a very severe looking gentleman. I couldn’t in any way associate this person, the subject of the portrait, with the man who had written Alice in Wonderland. And this got me to searching. Now, you tell me it wasn’t a very good portrait and that Sir Hubert, who didn’t appreciate your paintings, also didn’t get the proper expression for Lewis Carroll. And I’m thinking perhaps you made a very lucky escape. 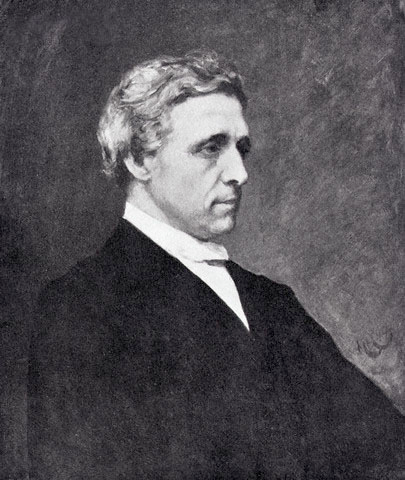 Ethel Hatch: […] As is well known, he objected to any publicity and was very much annoyed if people wrote to him as “Lewis Carroll, Christ Church.” He said there was no such person as “Lewis Carroll, living in Christ Church.” He was Mr. Dodgson when he was in Oxford. A little girl who my mother met in the country said she’d written to him and had been so disappointed that he hadn’t answered her letter. So she [Hatch’s mother] told Mr. Dodgson, and he said he would look at his letter register. (He kept a register of every letter he ever wrote or received.) And then he found this child’s letter and said to my mother it was a clear case of autograph hunting. No answer required. FBL: I think today we have a somewhat different slant on it. I mean philosophers and scientists and members of Parliament and practically everybody find occasion to quote the Alice books. How do you feel about Mr. Dodgson, as a person and also an artist, as a literary artist? EH: His books now of course are quoted continually and have really become classics. [pause] That doesn’t quite bear out my Mother’s opinion. FBL: How about your own opinion? EH: Of course I simply loved them as a child, and I still love them. FBL: I would say that implies a certain durability. EH: …. An invitation to go for a walk with him and then to tea in his rooms, he says he prefers to have children one by one, instead of two by two or even forty by forty. In my case, we’d have a nice walk, then give you tea and bread-and-butter, and I will see you home at half-past seven. And then I’m going to dine with Mr. and Mrs. Stewart. You don’t’ know them, but that doesn’t matter. FBL: Ms. Hatch, I’m sure you have many other reminiscences of Lewis Carroll. Wouldn’t you like to give us some more? EH: He was so wonderfully kind and so generous. We had all the books that he had ever written, I think: they were given to different members of the family. And one day he called to ask which books each of us had received and when he found that I had never had a book he was quite upset and said I should have the very next one that came out. And the very next morning, I received the book… the songs from Alice, and an amusing letter saying that later on I should have the very first book that was published, and this was Rhyme? and Reason?. FBL: Mr. Gernsheim, I’m sure you have something more to say about Lewis Carroll. Perhaps your studies of him as a photographer give him some insight into his personality. Helmut Gernsheim: Well, one thing that always amused me was the way that Lewis Carroll didn’t seem to be quite consistent in the way that he disliked people hunting him for his autograph. He was a great autograph hunter himself, and he was a great follower-up or chaser of people when he wanted to photograph them. It’s very known that when the Prince of Wales was in Oxford, Lewis Carroll was rather persistent in getting the Prince of Wales’ autograph, and the Prince of Wales didn’t like it at all. And he would therefore try to photograph a girl, and when the photograph was liked he would show it to the mother, and the mother would show it to her husband, and perhaps later on the mother would work on her husband and persuade him to be photographed too. And that’s exactly what happened in Tennyson’s case that the right was in fact given to Mr. Carroll by Mrs. Tennyson herself. FBL: I think that’s a very interesting insight. I’m going to (uh) say something about what you said, because in a way I think you’re a little unfair about Lewis Carroll, because he must have had a consciousness of his own genius. He was not really accepted on his own level, in his own day. 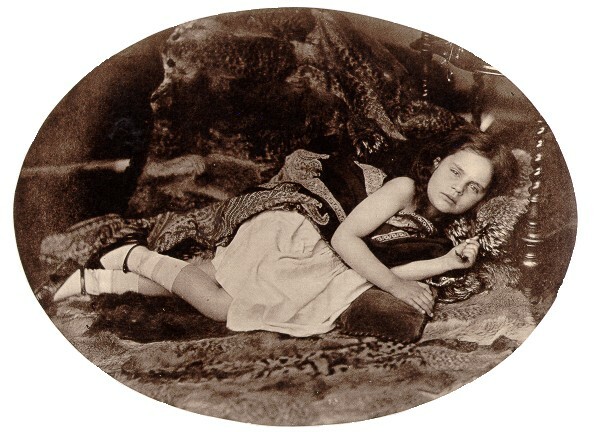 I know Tennyson spoke of him as a photographer—apparently never knew him as a writer—and yet Tennyson lived quite long enough to have read and understood Alice. Lewis Carroll is a poet—to my mind a better poet in many ways than Tennyson. And I think he was entitled to meet these people on a level, and he didn’t know how to approach them. He approached them with his first fumblings in photography. Yet he was a good photographer, too. But I mean his genius was of a sort that was not easily, didn’t easily bring people to him. He was not recognized by the literary men of his own time as a writer. First by the children, or first as a photographer. So there’s something to be said in extenuation. HG: I only feel (em) when one looks into a personality closer one can find some inconsistencies and that is the one which struck me most when working on Lewis Carroll myself—the inconsistency of how he hated to be chased and how he loved to chase himself. FBL: Well I don’t think that’s a bad word “inconsistency.” You know Walt Whitman said, “Do I contradict myself, very well I contradict myself.” [laughter] Did you have any feeling of Lewis Carroll being a seeker after famous people, Ms. Hatch? EH: No, I don’t think I was conscious of it. He had many friends among famous people, but I shouldn’t have said there was anything snobbish about his feelings, Dodgson…. FBL: I suppose you got him at his very best. He was perhaps at his best with children, he was at ease with them, isn’t that so? FBL: Thank you so very much, Ms. Hatch and Mr. Gernsheim, for giving me a vignette of Lewis Carroll for our American audience. HG: Well, if we have been able to assist in understanding Mr. Carroll, or at least in bringing Ms. Hatch close to you, um, this broadcast will have achieved a great deal. FBL: Ms. Hatch has spoken of Mr. Dodgson as a friend and companion of children and Mr. Gernsheim has shown him as a superb and original photographer. The Poetry Room welcomes any additional information about the “The Enjoyment of Poetry” series and the provenance/date/location of this particular recording.